The arena will be home to the Milwaukee Bucks and Marquette University’s Golden Eagles men’s basketball teams. Artist rendering of the new Fiserv Forum in Milwaukee. 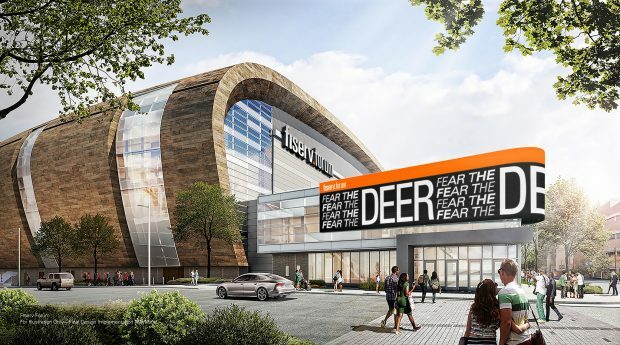 Fiserv Forum has officially opened its doors in downtown Milwaukee, Wisc., debuting a new naming-rights agreement for the new home of the National Basketball Association’s Milwaukee Bucks.